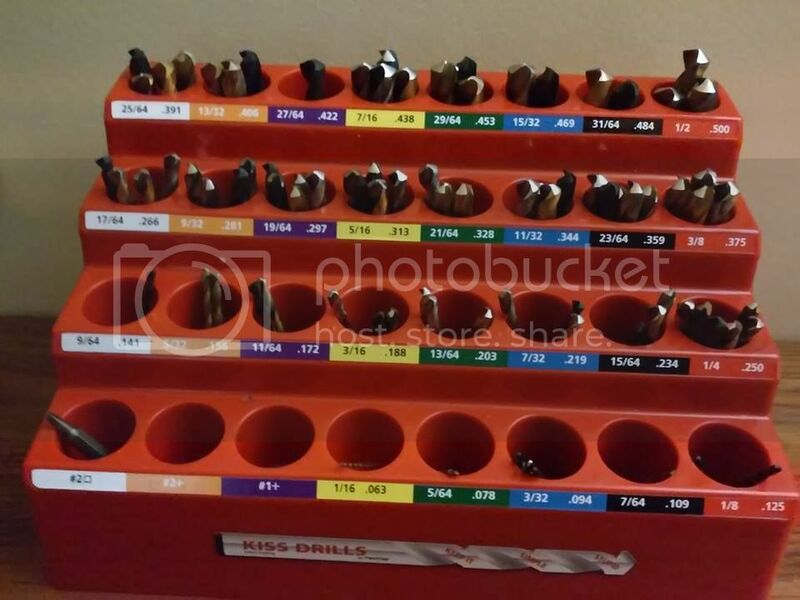 Went through all my fractional drill bits. Got them sorted out, cleaned, sharpened and indexed. Now I need to find a good way to index all the letter and number bits I have laying around the shop. Hint, a metal lathe is a good way to clean up the end were they get tore up by a slipping chuck.